Living in North America we are faced with a very competitive job market, especially for those seeking jobs in teaching. Because of this it seems that now more than ever before graduates are making the decision to finish school and move on to travel or work abroad. Working abroad is truly becoming an ideal option for many, since, for a lot of the jobs being offered (especially in teaching) the expectation is that you will have completed an undergraduate degree in any field, but that's it. Often students will complete their TESOL Certificate (Teachers of English to Speakers of Other Languages), that is if they're going into teaching since it puts them at a salary advantage and also provides them a better general knowledge for how to teach english, but even that is optional. It seems so easy to do, but some of you might be asking, "are there really opportunities other than teaching overseas?" and "so where do I start this process?" There are tons of organizations that will help a graduate make their overseas transition into working abroad, and teaching isn't the only industry that they're recruiting for. You can find many of these organizations sites through a simple google search, but how can you know whats legitimate and who to trust? 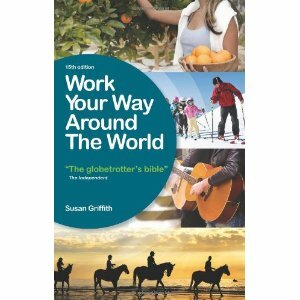 In her book Work Your Way Around the World, Susan Griffith acts as your "tour guide" for understanding the ins and outs of going abroad for work, travel, school, or for any other reason! She breaks her book up by country, outlining the differences in working conditions, earnings, lifestyles, and the booming industries in each place. For each country she outlines specific companies and organizations to work or volunteer for. She even goes into aspects about how to prepare to leave, such as what to bring, what you might need at the border, and even outlines how to attain a VISA. She outlines what legal documents are required in each specific country, money conversion, how taxes work in each place and even what to do if you need to do a money transfer to or from home. She also provides tips on staying healthy in a new country and gives information on which insurance providers to go with. With all of this preparation speak she also provides a disclaimer to warn the new traveler that once you start, it's often difficult to stop - for many reasons. She reminds her reader that travelling can become very addicting, and not to get yourself into a situation where you can't make it home. It can be difficult setting out, but once you're there it's often much easier to stay there than come home because the resettlement process can often be severe, leaving you feeling like you're "back to reality" and that "life was so much easier abroad". Being prepared and planning ahead carefully can help you steer clear of any negative feelings for home or the country that you've travelled to. The section entitled "Extremis" is a particularly interesting read as it offers up examples of extreme scenarios a worker or traveler abroad might find themselves in and offers practical solutions to overcoming them. The Independent coined this book "the globetrotter's bible" and I believe that Griffith's coverage of all countries, scenarios, and possible questions that someone might never have considered before is what makes this statement true. Her appendices are also very helpful as she offers a currency conversion chart, useful phrases for all countries, possible travel itineraries and even international dialing codes. 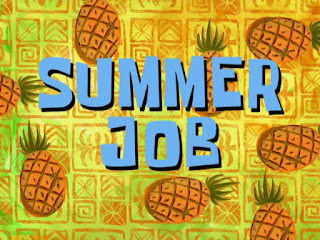 when I am done school and I found it to be an invaluable resource and researching tool. PS. If you want some tips for how to create a resume, CV or cover letter for the country you intend on travelling to, or an online search of the popular industries abroad, check out Going Global! Great review. Definately going to have to check out this resource to get some insight into my future endeavours of teaching abroad!!! Helpful post ! Institutional understudy credits are accessible at individual colleges. Every school has it own arrangement of particular terms and prerequisites. You have to check with the money related guide office at the school you anticipate going to and ask about understudy credit prerequisites and due dates! Thanks! Book Review: No Canadian Experience, Eh?